When I stumbled upon the Car Möbel site late last year I thought Christmas had come early. Based in Germany, my excitement dropped a peg or two when I realised they only ship locally, however the product styling is so insanely good I figured it would be madness not to share it with you. If nothing else, these spaces will inspire you to white-wash your floors and walls! The online store offers an extensive range of furniture and homeware not only from Germany but also well known brands from Scandinavia and The Netherlands, such as House Doctor, Nordal, TineK Home, Madam Stolz and Pip Studio. They also sell their own line of furniture which features in all of the images shown here. I was immediately drawn to the storage section. A huge range of shelves and cabinets provide plenty of organisational inspiration. You may be able to find something similar to replicate the look or experiment with some DIY or even upcycling. It's amazing what a coat of white paint can do for an old piece of furniture. I love the versatility of boxed shelving. 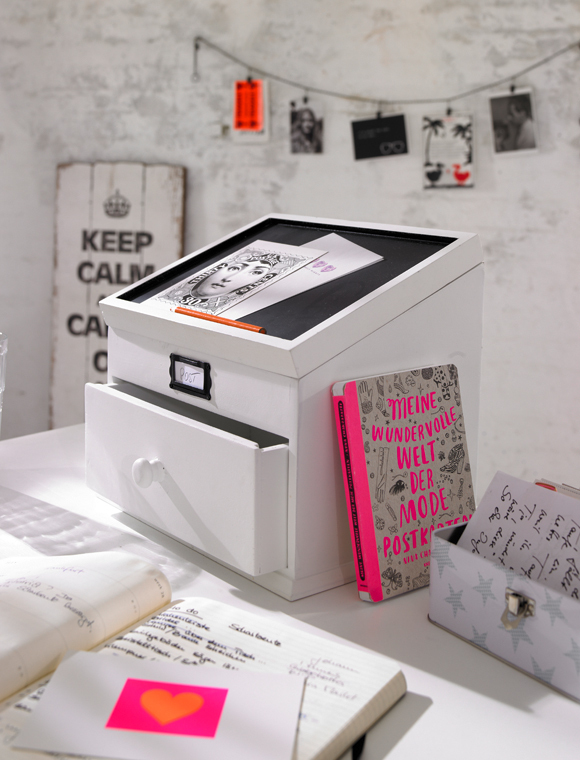 They look great, can be moved around as you please and the different sizes allow you to store a range of books and objects. Perfect for your workspace, the ones shown here are filled with pretty folders and patterned boxes. Aside from the desk, the chair is a main component of the workspace. A great way to introduce different texture such as wood or steel, not to mention a pop of bright colour, I love the different styles shown here. 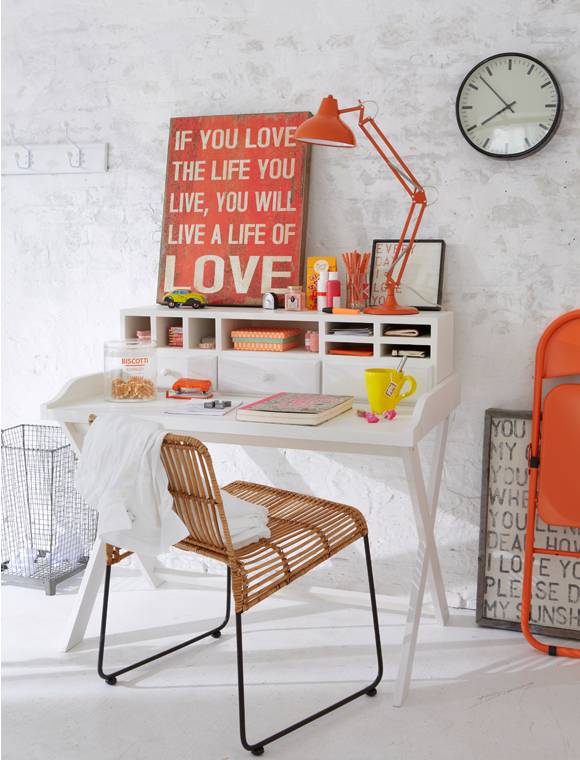 Industrial lamps, wire waste baskets, fun prints and desktop accessories add more layers of cool. These hallways and living areas are so fresh and welcoming. 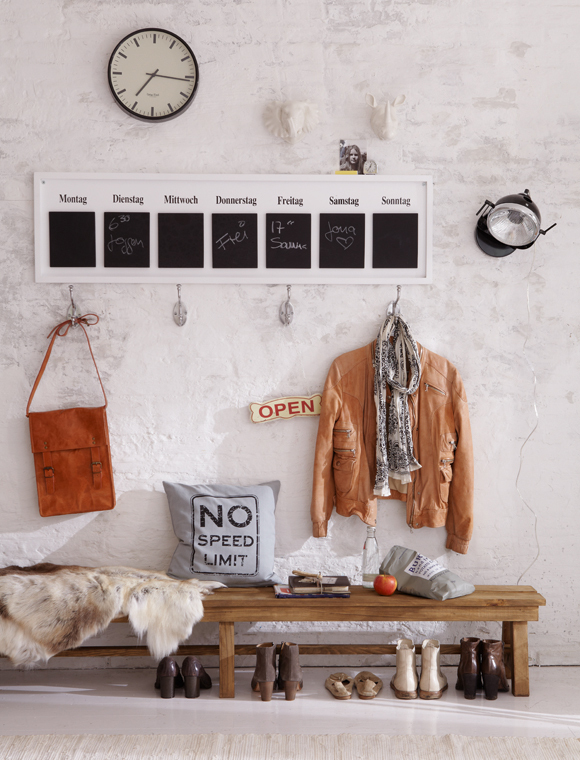 I've always liked the idea of placing a low bench seat in the entrance way and how cute is the blackboard week planner above? Having become a bit obsessed with rugs and pouffes of late, Car Möbel has really piqued my interest. 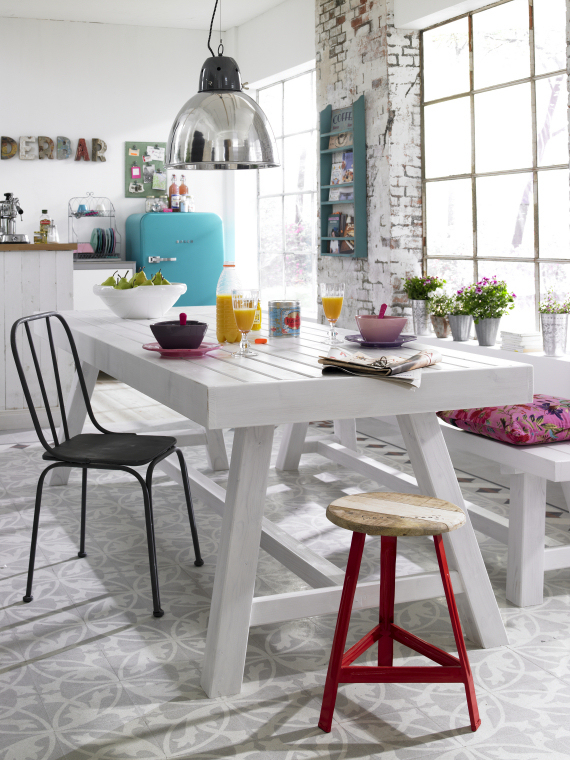 As well as adding colour and texture, they make these spaces warm and inviting. The bedrooms feature more beautiful furniture, calming colour pallets and a lovely range of bedlinen. A mix of neutrals with just a splash of colour (love that rug) and a cosy corner chair works for me. I love the muted colour pallet of this bedroom and that gorgeous star print bedding has completely won me over! I love the whole home !! LOVE love love all these photos!!! The styling is impecable! Looks a bit like Scandinavian style with a twist. Love it! Thank you. I'm so glad you liked it! 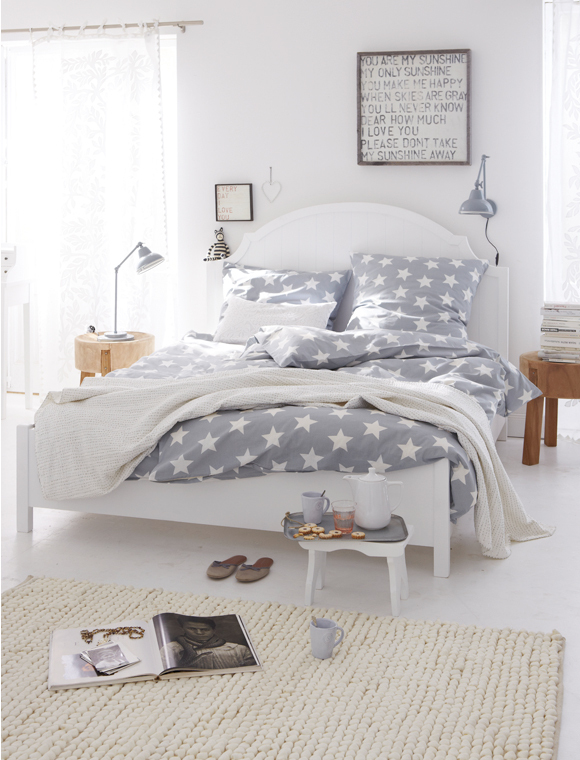 I love the star bedding! Where can I find it?